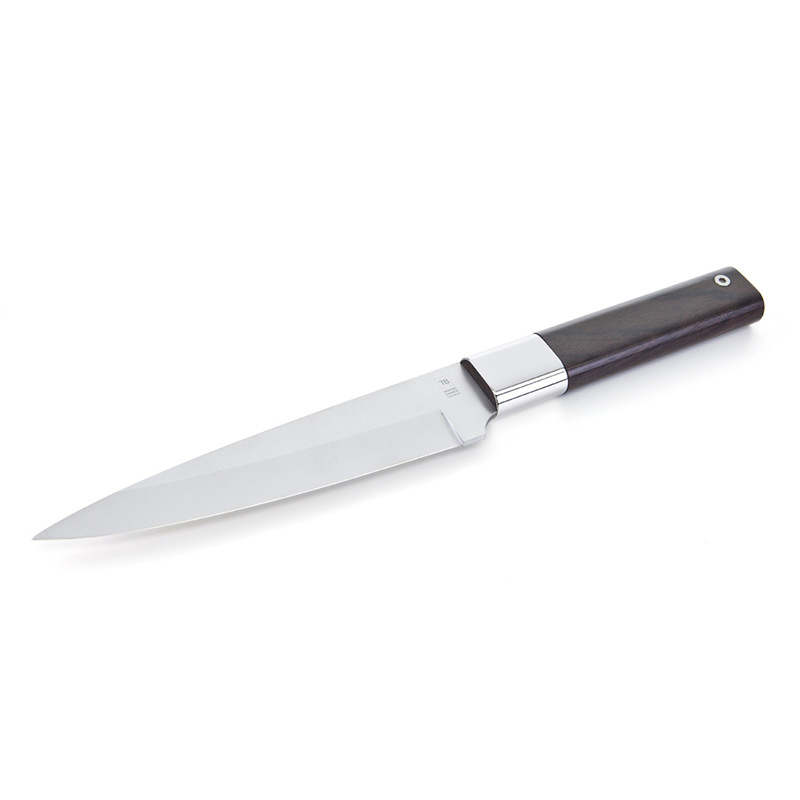 The perfect size of this carving knife gives it a very comfortable ergonomics, which is crucial in a kitchen. 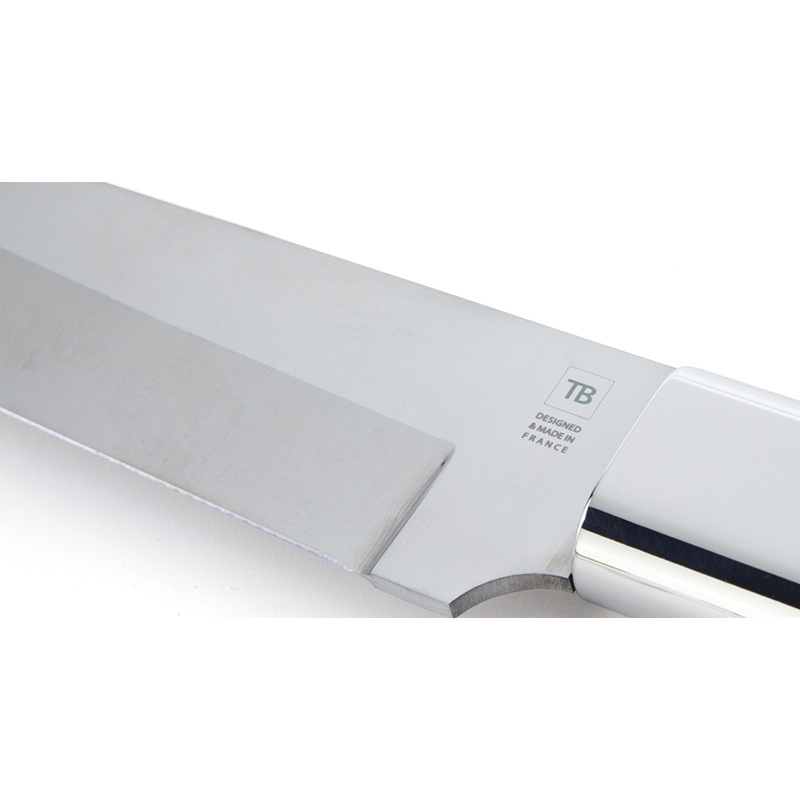 Like all other kitchen knives of the Absolu range, Tarrerias-Bonjean manufactured a double bevelled blade, which offers remarkable precision. This 18cm carving knife is endowed with a very beautiful handle mirror-polished bolster. 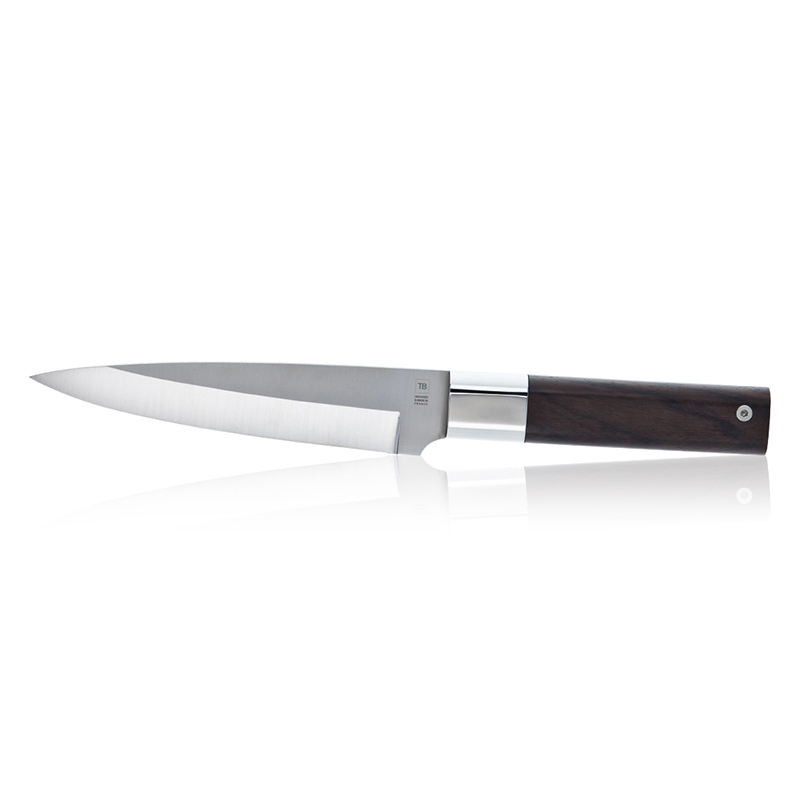 The high quality of the materials used to manufacture the professional carving knife permits a perfect grip. Its comfort in use and its cutting power lets every chef the possibility to have a multipurpose knife that can chop, mince and slice all types of pieces. 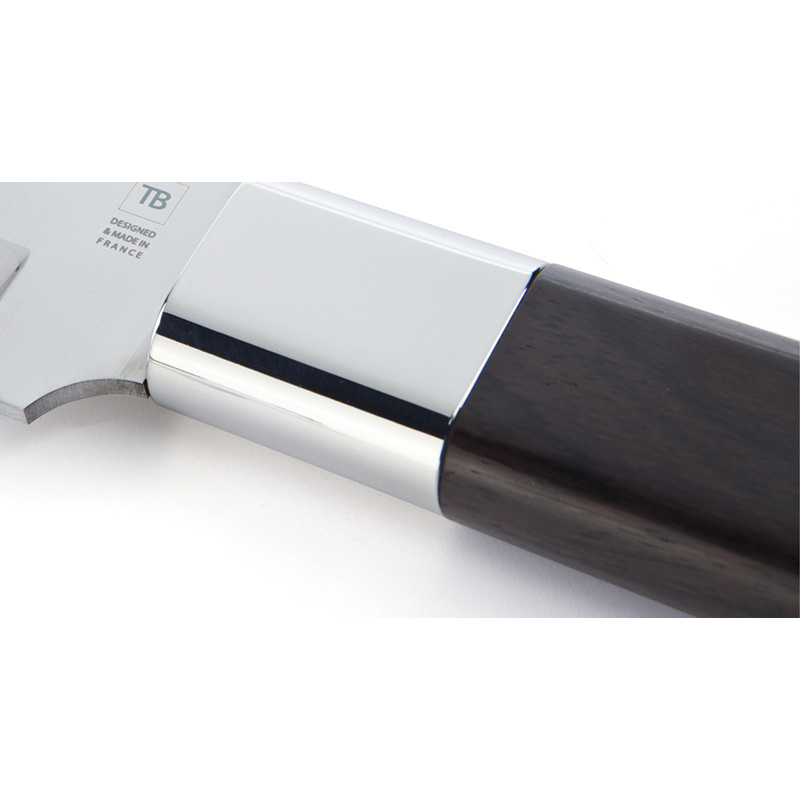 A special inscription can be added on the blade of this Made In France professional knife. Ideal for any chef whether professional or amateurs!